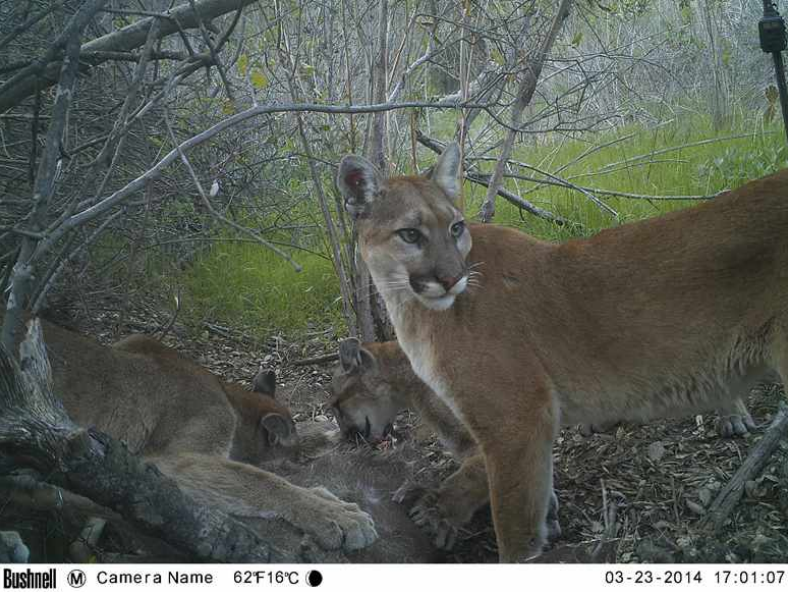 As a part of its ongoing Southern California Mountain Lion project, this study assesses mountain lion use of core conserved lands and linkages in western San Diego County. GPS-collaring of mountain lions was undertaken in order to acquire location and movement data from individual lions utilizing core conserved areas and linkages that have been designated by the county. Six mountain lions were GPS-collared in this study (5 males and 1 female). All 6 circulated extensively in one or more of the targeted conserved cores and linkages, as well as on adjacent conserved and unconserved lands. Of the 9 core conserved areas assessed, 6 were used regularly by collared mountain lions. Of the 11 linkages identified for assessment, only 3 were demonstrated to be utilized for regular movement from one core area to another. One other linkage between core conserved areas was demonstrated that was not pre-identified on the connectivity maps. Roads and associated development, even rural development, appear to be the primary limiters of connectivity between conserved lands.